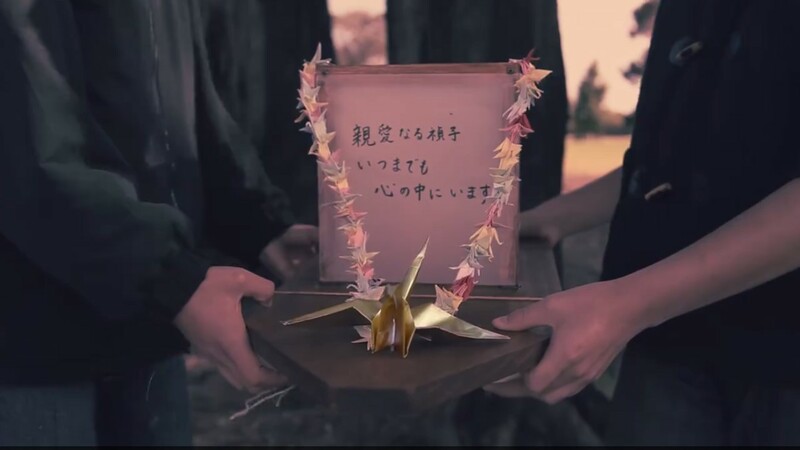 A generous, dedicated group of people have been working hard to create the story of Sadako Sasaki in film to support our leukaemia research project. Sadako survived the Hiroshima bombing in 1945. Radiation can kill quickly by causing radiation sickness, or slowly by causing cancer. Like many other children who survived the bomb, Sadako developed leukaemia ten years later when she was 12. The Director Elizabeth Duong and the Paper Thin Productions team is poweful both visually and emotionally. Daniel Hernandez and Elle Graham’s music can stand on its own. So why Paper Thin? The story ties in with our research into leukaemia, and we’re aiming to raise awareness and support for the research. This is crowdsourcing with a difference. Researchers worldwide are looking to alternative sources of funding as grant funding gets more and more competitive. Missing out on grant funding is not a short term problem. One very real problem is that skilled Scientists have to leave research. That means the projects they’re working on stop and discoveries they were after will never happen. The expertise they’ve build up won’t be used. The most risky projects are the ones that make the biggest difference, the game-changing discoveries. But granting bodies don’t like risky projects. They like giving money to the big labs – this means more of the same. Crowdsourcing is gaining in popularity – the people decide for themselves what research projects their donations will help. In the case if Paper Thin there’s no middle-man crowdsourcing platform (they take a commission). Another big difference is the product – this is a leukaemia story in film and music. So because the Paper Thin Productions team’s given their time freely you can be sure 100% of your donation will go to the research. The credits do better justice than I could to acknowledge the people who helped. Special thanks also to Jenny Going from the Essendon Symphony Orchestra for allowing us to use their time to rehearse and record the music, and also to Shauna Hurley, Bridget Bible, Richard Prentice, Barabara Cytowicz, Leslea Johnson, Amber Atkinson and Kayanne Allan from St Vincent’s Hospital who helped with the logistics of how to do this from the Hospital’s perspective. This is the opening title of Paper Thin. Yesterday was the last day of filming and I got a look at some of the Director/Producer Elizabeth Duong‘s work. It’s exciting – this will be a touching but beautiful film. 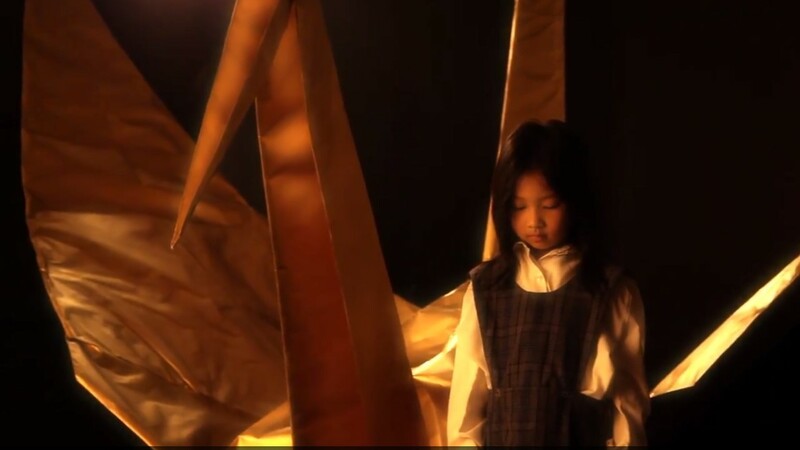 It’s based on a true story of a girl called Sadako who developed leukaemia after exposure to radiation in Hiroshima. One of the hallmarks of leukaemia that’s caused by radiation or toxic chemicals is very rearranged chromosomes. I’m working on unravelling the patterns and causes of the very disorganised genetics of this type of leukaemia (known as therapy-related acute myeloid leukaemia). Sadako hoped for a cure. My hope is that with the help of this film this research can continue and realise her dream for future leukaemia patients. A big thank-you to Elizabeth and all her helpers, who have given their time freely. A special mention also to Daniel Hernandez who composed the original soundtrack. It’s awesome. Here we have Essendon Symphony playing the opening theme and I think that’s Daniel playing over the stings.